Web Browser is now an important part of our life. This software allow us to access the Internet. There are so many web browsers are available in the market. Internet Explorer, FireFox, Chrome, Opera, Safari are the main browsers that are used by most of the people. Most of the people use Internet Explorer because it comes with Windows Operating system. But there are so many problems with IE. If you want to enjoy perfect web surfing, you should choose web browser wisely. Although, Internet Explorer is the most used web browser, Google Chrome and FireFox are far better then Internet Explorer. But I like Google Chrome for so many reasons. It is not just my personal opinion, Google Chrome has so many things which you will also like. Speed is the main factor for which I like Google Chrome. It is fast in every possible way. If you will compare it with Internet Explorer and FireFox, It has less start up time. IE starts and then hangs up for few seconds which irritates users. 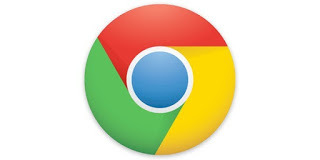 Google Chrome is powered by WebKit open source rendering engine, which loads web pages fast. It also combines search and address bar, known as the Omnibox. Google Chrome has a simple and clean Interface. It does not supports irritating tool bars. In IE and FireFox, half of the screen is engaged in toolbars and most of the users do not know how to remove or disable tool bars. Google Chrome is also good when we talk about security. It comes with inbuilt protection against malware and phishing. With the Safe Browsing technology of Chrome, It will warn you when you visit a website suspected of phishing and malware. Google Chrome updates itself automatically. Browser update makes Chrome more secure in each update. Automatic update ensures that your version of Chrome is automatically updated with the latest security features and fixes without any action required on your part. This is an important part of Google Chrome. Apps, Extensions and themes help users to personalize Google Chrome as they wish. You can enhance Google Chrome features by using extensions and change the look and feel by using browser theme. There are some games also available which you can enjoy offline or online direct on the browser. If you use Google Chrome in all your desktop and mobile devices, you can use this sync feature of chrome to take your tabs, browsing history and bookmarks to all your devices. For using this feature, you only need to sign in with your Google account and Google will bring your bookmarks, history and browser settings with you. There are so many other features are also available such as auto fill, safe downloading, instant search, inbuilt search and many other. These are the main things that shows why Google Chrome is better than other browsers. If you also want to download Google Chrome, you can download it for free from official Google Chrome download website. Which browser do you like most? Share your opinion with us.